This area supports the largest and perhaps most diverse freshwater sport fishing opportunities in the State of Alaska. Kenai River fisheries for king, sockeye and coho salmon are the largest freshwater sport fisheries for these species in Alaska. Resident species such as rainbow trout, Dolly Varden/Arctic char, Arctic grayling, lake trout and steelhead trout also provide popular fishing opportunity in lakes and flowing waters. Pink salmon runs to rivers, streams and creeks occur in large numbers during even-numbered years. The department also stocks 27 lakes in which the species stocked varies by lake however includes rainbow trout, landlocked salmon, Arctic grayling and Arctic char. River fisheries occur for a variety of species from motorized boats, non-motorized drift boats and from the riverbanks. Fishing area lakes is popular from both motorized and non-motorized boats and canoes. 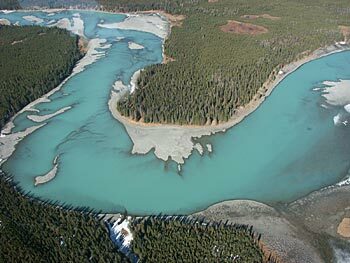 For good reason the Kenai River is the most well-known fishing destination in the area. From its source at the outlet of Kenai Lake at Cooper Landing the Kenai flows 80 miles to Cook Inlet and offers anglers both early- and late-run king, sockeye, coho and pink salmon as well as superb fishing for rainbow trout. Other popular flowing waters that support differing fishing experiences as well as great salmon fishing or fishing for resident species include: Kasilof, Russian and Swanson rivers as well as Resurrection Creek. Despite the popularity of these rivers, nearly one hundred lakes in the area contain more fishable water than all of the most popular flowing waters of the rivers and creeks combined. These lakes support natural production of rainbow and lake trout, Dolly Varden/Arctic char and Arctic grayling. Road accessible river fishing from boat or riverbank for salmon, fishing remote alpine lakes for Arctic grayling or fishing for rainbow trout in remote wilderness lakes are some of the sport fishing opportunities that are available in the Northern Kenai Peninsula Area.